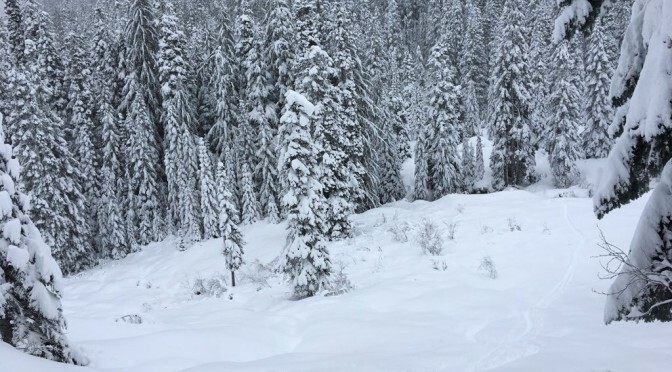 Glacier, WA – A lost snowboarder has survived two nights in the sidecountry north of Mt. 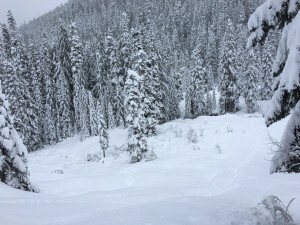 Baker Ski Area in Washington State. Oliver Smith, 21, of Edmonds, Wash., was snowboarding with a friend when he ducked a rope along Baker’s northern boundary around 10 a.m. on Friday and quickly became disoriented. Bellingham Mountain Rescue Council mobilized searchers at the end of the ski day on Friday. Their efforts were hampered by darkness and 14 inches of new snow that fell overnight on Friday. Smith built impromptu overnight shelters using tree branches and his snowboard to protect himself against temperatures that dipped into the high teens. He had neither food nor a cell phone, but found water to remain hydrated. Searchers were joined by members of Mt. Baker Ski Patrol on Saturday, when another seven inches of snow fell in the area. Smith’s footprints were finally spotted at around 10 a.m. on Sunday in the White Salmon Creek Valley. Smith was found about a half hour later, cold and wet, and exhibiting signs of hypothermia but otherwise unharmed.